Our progress: Two months, 16 appellations. Wait, WHAT? When we first conceived this project back in November and December, we originally thought we’d visit 20 wine appellations. Then we decided to stretch ourselves and try for 40. We added a clause stating that “we can only count Monterey County appellations if it’s December and we’re desperate” because, frankly, we thought we’d need it. As of February 28, to our surprise, we discovered we’re already 40% of the way there. If we’d really done our research, we probably wouldn’t have been so surprised. 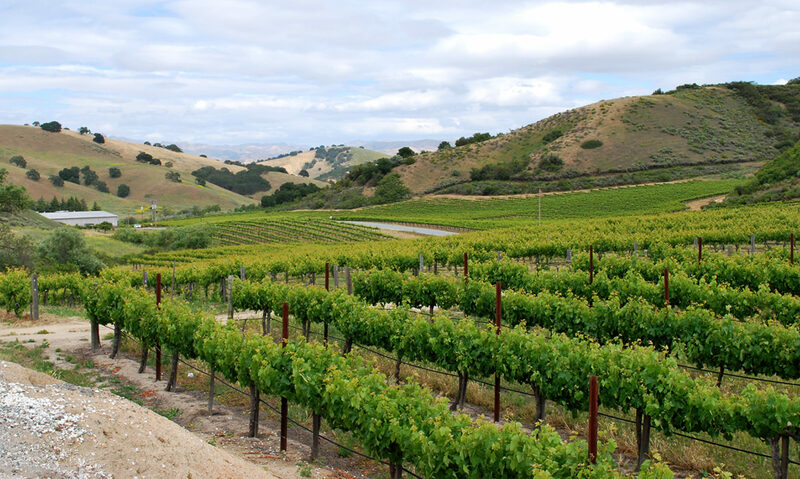 There are easily over 60 AVAs within a five-hour drive of Monterey, and that’s not even including the AVAs within Monterey County! It seems that everywhere there’s a bit of land in California, someone is planting vineyards, and someone else is demanding that the wine region be split into ever-smaller appellations. A key trip in reaching this total was our visit to Lodi. We actually expected to rack up more AVAs in Lodi than we did. In 2006, the Alcohol Trade and Tax Bureau approved seven sub-appellations for Lodi. However, much to my surprise (and possibly Mike’s), most wineries seem to be sticking with the overarching Lodi AVA for now. We’re not going to get cocky just yet. We may not be able to visit any wineries in March at all, as I’m on the road for a couple of conferences — and, unfortunately, have not been able to add any wine-tasting trips onto the end of those excursions. But now the question becomes: if we achieve our goal with months to spare, what do we do next? See how many appellations we can achieve? Pick one appellation and try to drink every wine within it? Switch to beer?